Cari-bow wolverine longbow, 61@28. Beeman Classic 400s tipped with 150 grain Woodsman Elite broadhead. 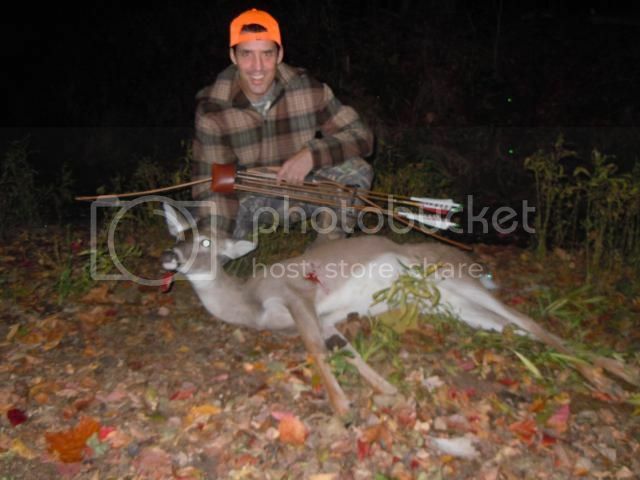 now that's where an arrow is supposed to go..
Congrats on a Good Doe!